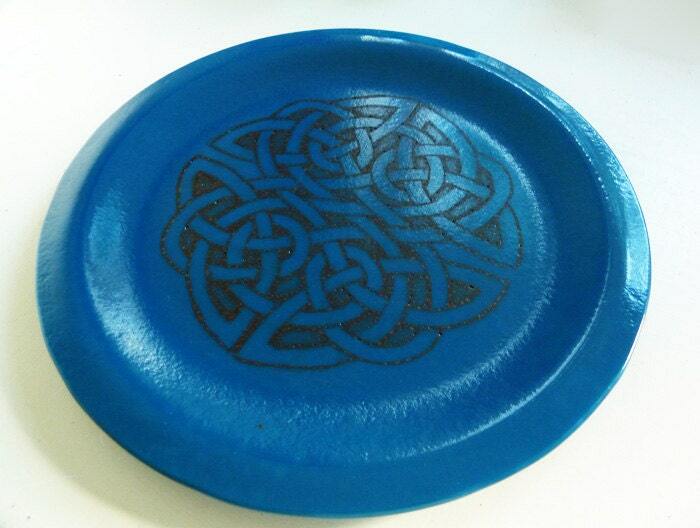 This is a heavy, solid dish, made from steel blue fused glass. 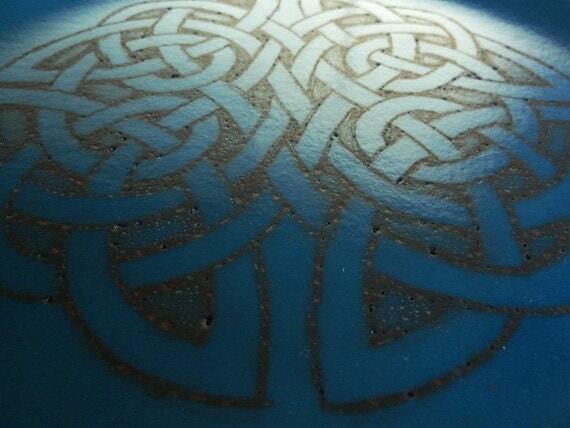 The blue surface is lightly textured with a deeper texture under the pattern. 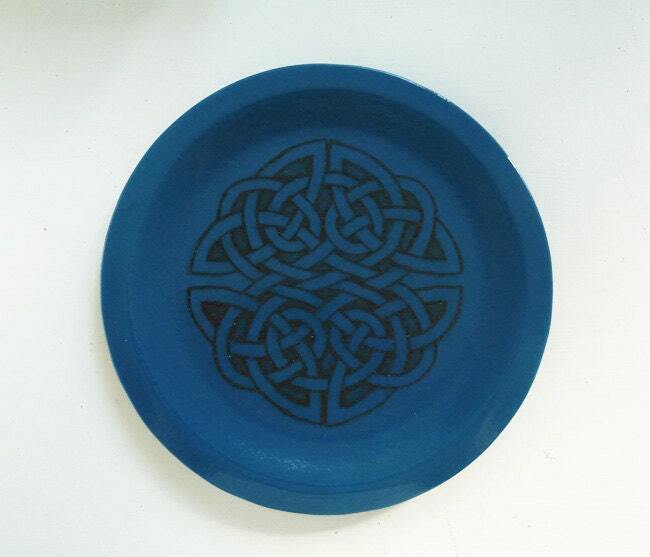 The knotwork design in the centre has been drawn by hand & then fired onto the surface of the glass. It's about 30cm (12 inches) in diameter, and is fairly shallow, which makes it good for display as well as practical use. While it was made to be just decorative, it's food safe and fine to use in the kitchen, so long as you wash by hand with soap & water, and avoid the dishwasher.